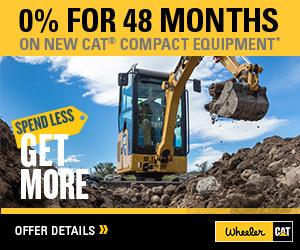 Telehandlers For Sale in Utah | Wheeler Machinery Co.
Superior design and advanced features combine to give Cat telehandlers the best all-around visibility. These machines take the lead in lift and reach capabilities, as they achieve top performance while offering rugged construction for reliability and durability with low operating costs. 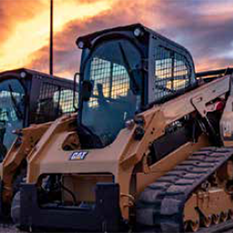 Wheeler Machinery Co. operates a unique dealership of Cat equipment and technology, as our reach expands throughout the state of Utah. With locations in Salt Lake City, Ogden, Lindon, Hurricane and other prominent locations, finding a new telehandler to meet your job specifications has never been easier. What Can You Gain From Cat Telehandlers for Sale in Utah? Sometimes a conventional forklift will lack the operating capacity, reach or maneuverability to efficiently accomplish the tasks your industry frequently demands. That's when Cat telehandlers will take your effectiveness to an entirely new level — literally! Telehandlers are sturdier than a standard forklift, but you still maintain strong mobility in tight spaces. Cat also implements the latest technology standards for fuel efficiency and to improve the overall user experience. 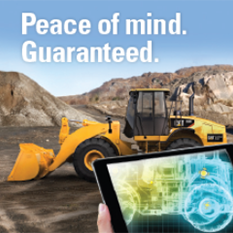 You can search through our extensive inventory to find the right machine that meets your requirements. You'll likely make your pick based on operating weight capacity and overall reach, but other features make these products worth the investment as well. Some of our telescopic handlers serve as excellent construction helpers, as models like the TLD1055D Telehandler offer a maximum height of more than 54 feet while maintaining an operating weight of nearly 32,000 pounds. If you have lighter-duty objectives, such as snow removal and tree trimming, you might find a better fit in models that reach between 18 and 32 feet high. Those heights should provide more than enough clearance for plenty of jobs, and Rated Load Capacities that range between 5,500 and 11,000 pounds can easily tackle a lot of weight demands. You can even select from telehandlers that utilize stabilizers to provide an added layer of security when conducting prolonged lifts — equally useful for handling materials or personnel. With more than 60 years of experience, the staff at Wheeler Machinery has built up a deep knowledge base that extends throughout all our locations. No matter where you are, we will help to find the best new Cat telehandler for you. Our customer service team will answer all of your questions, and you can also go online to inquire about a free quote on machinery. Find what you need by filling out our contact form today, or give us a call to learn more.